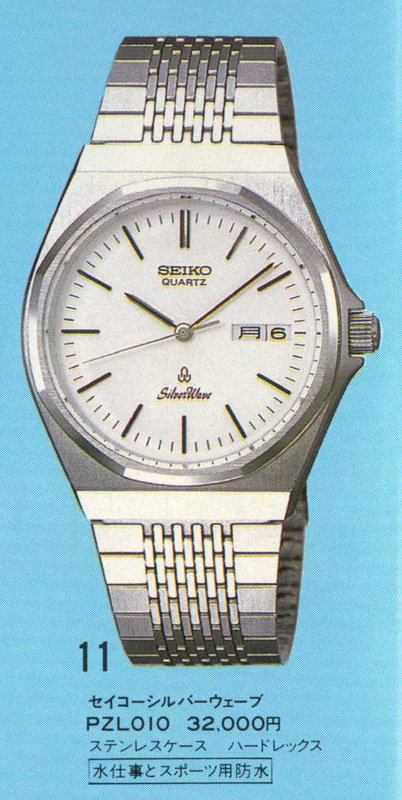 Recently I acquired a Seiko sales brochure from 1982 featuring a number of mens and ladies watches. 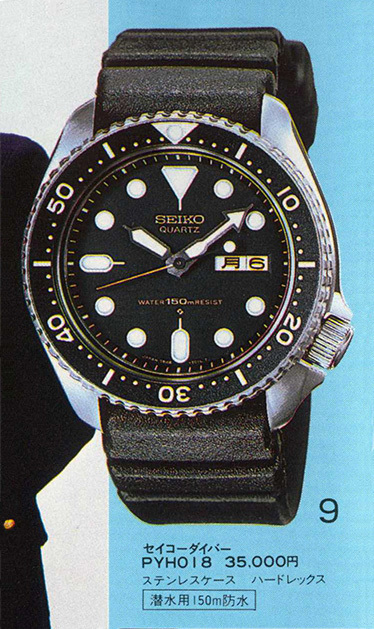 The brochure contains 50 watches with 25 mens models and 25 ladies models. Some of the standout models are a pair of mens divers, the black dialed PHY018 (7548-7000) and the orange dialed PYQ019 (6458-6000). As well as a couple of Silverwaves with the PZL010 (6433-7000) and PZL028 (6433-6010). 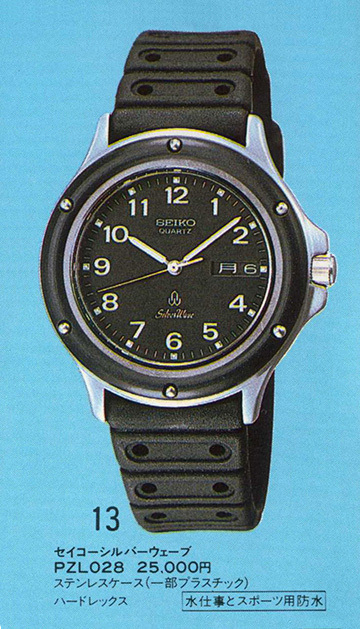 In addition to the analog models there are also a range of hybrid and digital models. These include the ani-digi JZV058 (H449-5020) and JZV028 (H449-5040), the digital DZX018 (D229-5010) and the Pulsemeter DEM015 (S229-5000). The full brochure (11MB) can be downloaded by clicking on the cover below.